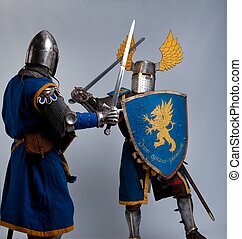 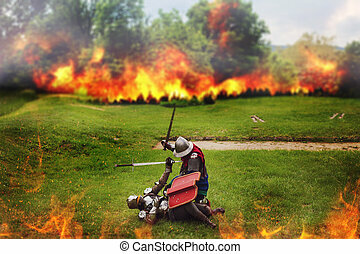 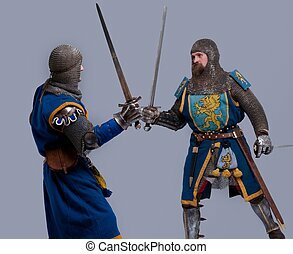 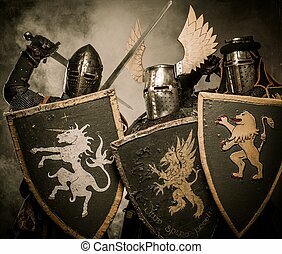 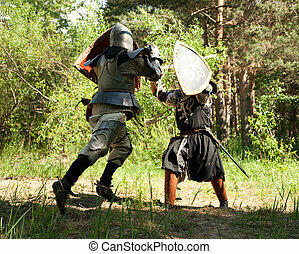 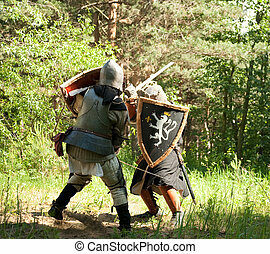 Two knights in armor fight each other. 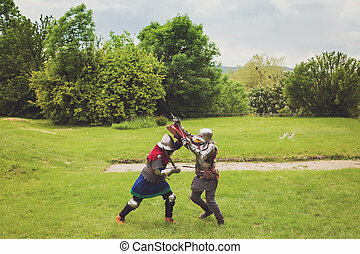 Two knights fighting agaist medieval castle. 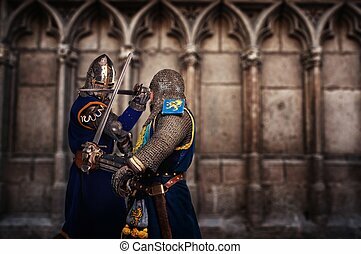 Two knights fighting against medieval cathedral wall. 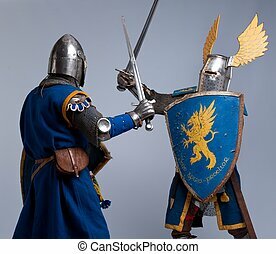 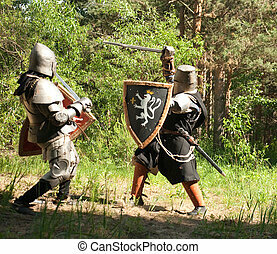 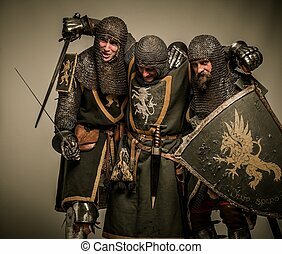 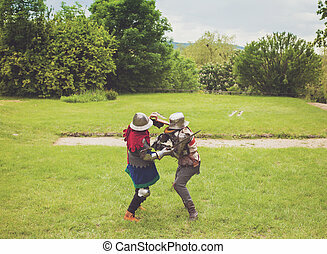 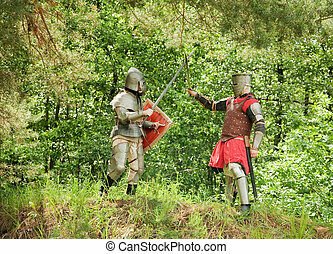 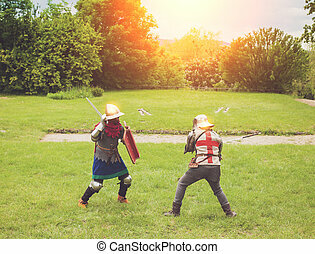 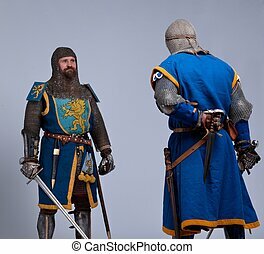 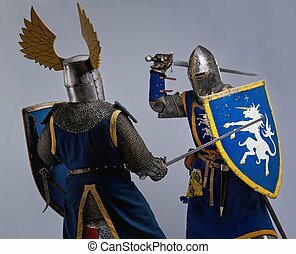 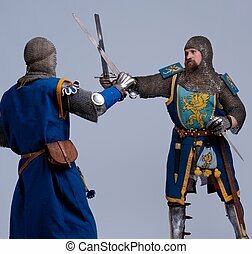 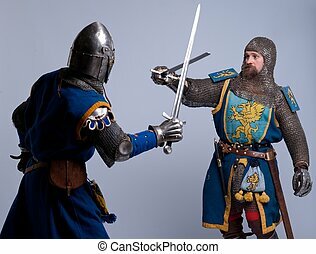 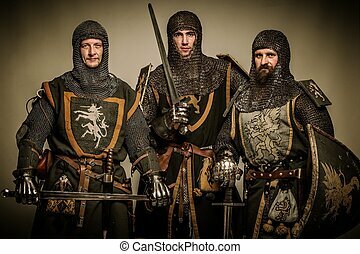 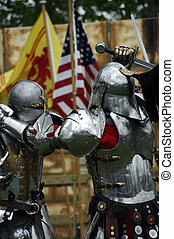 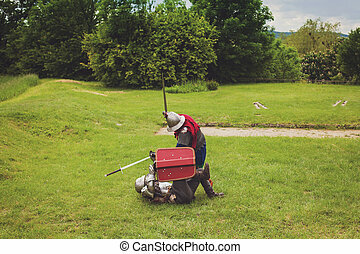 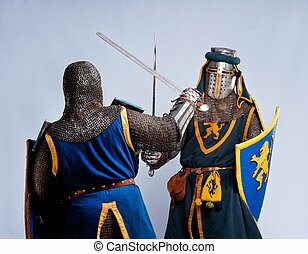 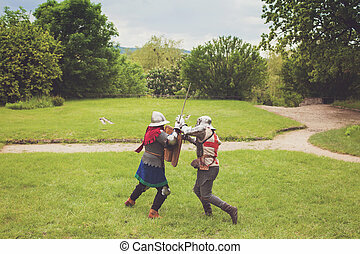 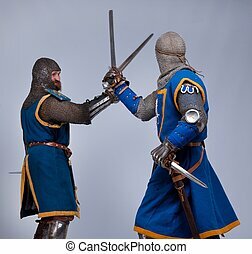 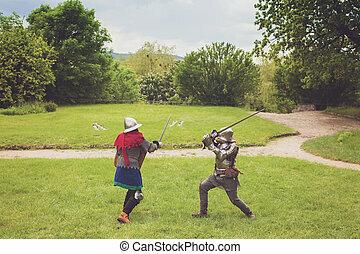 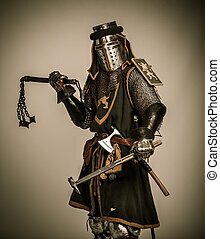 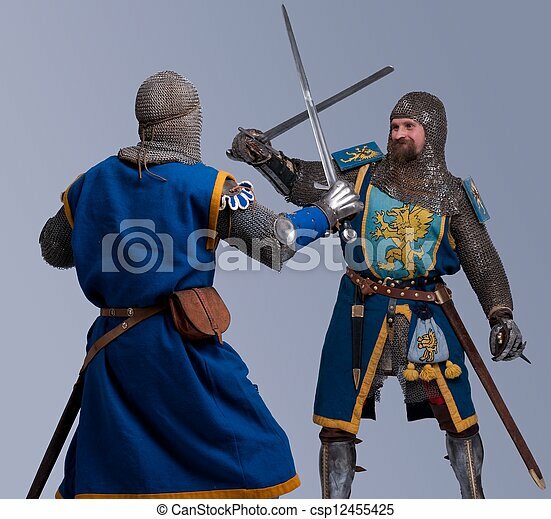 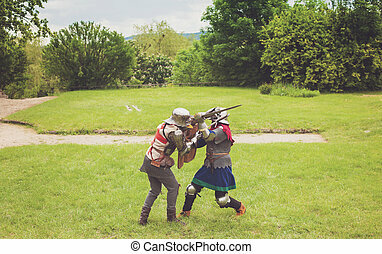 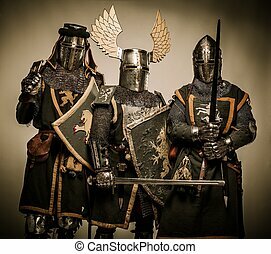 Two medieval knights preparing to fight. 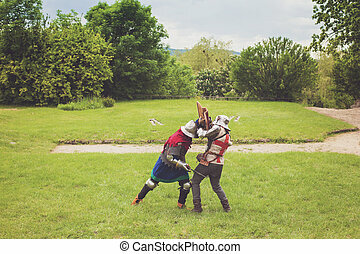 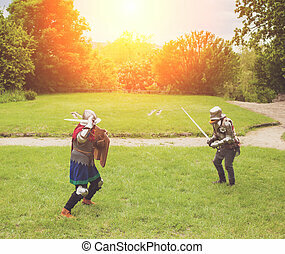 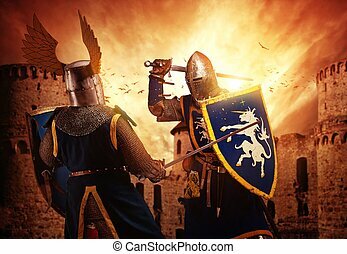 Two medieval knights fights against stormy sky background. 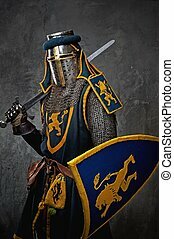 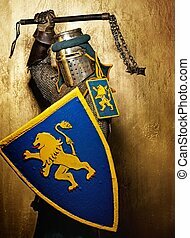 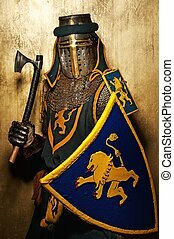 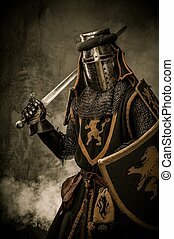 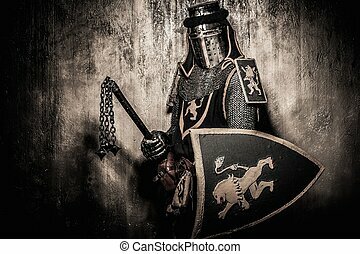 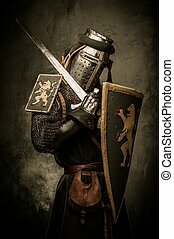 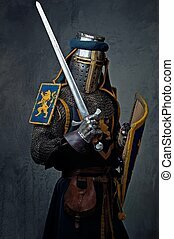 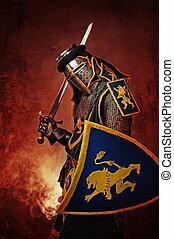 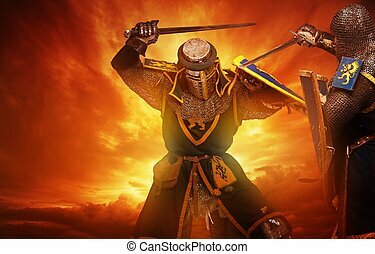 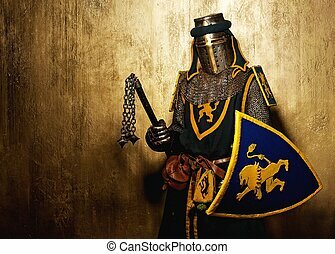 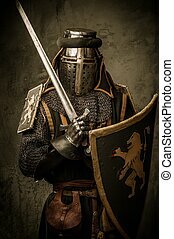 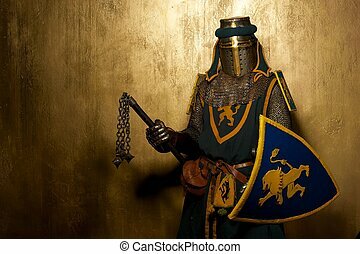 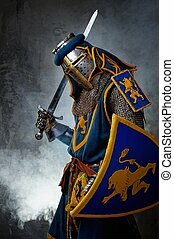 Medieval knight on abstract background.